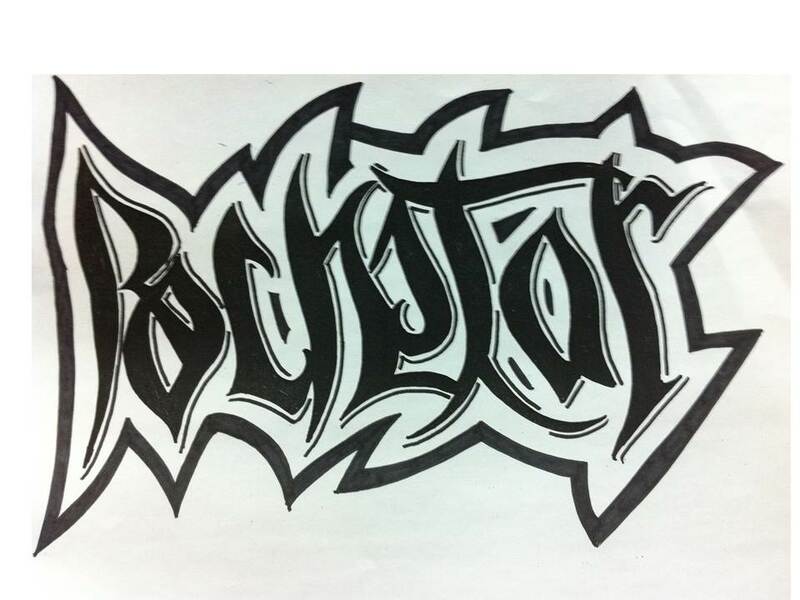 Rockstar rotating into Loyang (the school name), proposed design for the Rockclimbers. It had been a while, and as NastyBasty (here) summed it well on one of his most recent ambigrams, we are 'on hiatus', and looking at events both short and long term, maybe on a long one, too. Though busy, we do from time to time, visit our much beloved art and world of Ambigrams. 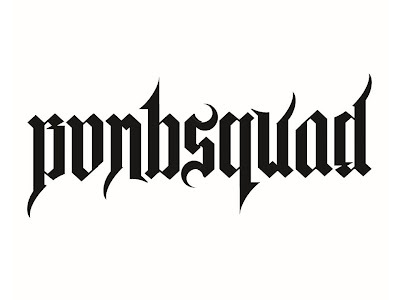 There are many good development in the ambigram front. 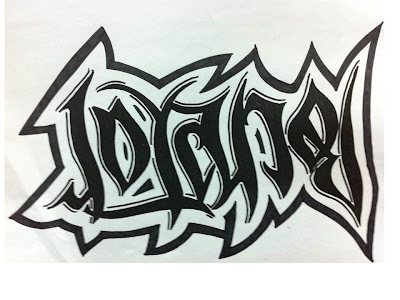 Most notably, the awesome job done by Nikita and the guys over at ambigram.com (here). It is good to see many, many talented new artists trying out this art - and thriving as well! We see the regulars-pioneers mingle with the new, fresh talents. It's a healthy place to go to to have your ambigram fix, if you have yet to go there for a peek, that is. Next, we have updated our sidebar with two more ambigram links. 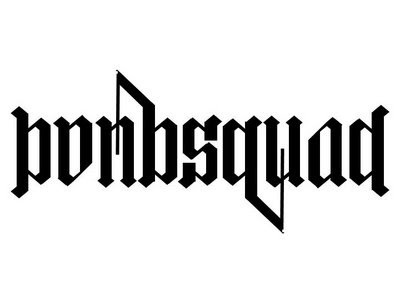 The first is a link to the only place to get your ambigram-related merchandises. They are the people with the flair to meet to your every gift requirement, from rings to mugs to basically anything else, really. Do visit them at FlipScript Ambigrams (here). And, an artist whom we've found to have an extraordinary repertoire in doing something beyond just ambigrams - upside-down heads. We can't find the best words to describe this art, just visit the link and marvel for yourself. He's Sam Saxton (here). We'll be popping here again once in a while. In the meantime, do leave us a message, take care, and continue to have fun creating ambigrams!